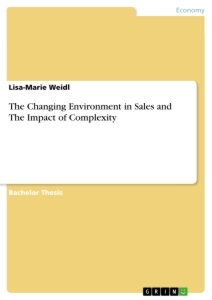 This academie paper reviews the term of complexity and highlights it as an essential and challenging influence on the rapidly changing sales environment today. Challenging dimensions of the environment include increasing customer satisfaction, globalization/competitors, technological innovation, ethical and legal environment, shifts in company strategy and high-performance challenges. Each of these external and internal environmental changes is responsible for an increase in complexity. This paper examines some solution approaches for salespeople in order to decrease complexity and discusses their implications. The world of selling has changed quickly in the last twenty years through developments and trends such as globalization, increasing customer satisfaction, and technological innovation. This leads to an increase in complexity and problems but can also create new opportunities in the sales environment. In fact, salespeople have to deal with rising competition through globalization, new customer demands and product complexity daily (cf. Jones et al. 2005, p. 106). Consequently, the way salespeople perform their job is also affected by these challenges and sales organizations are facing a more complex work environment. The influences mentioned before require salespeople who can deal with these rapid changes and are willing to rethink models and hypothesis that are mostly not applicable anymore to today's sales environment. Complexity is a permanent component of today's sales environment and there still needs to be more effective approaches how to deal with it. This academic paper is going to analyze the changing aspects of sales and the impact of complexity in sales as well as suggested approaches to solutions. RQ1: What does complexity mean in general and especially in an organizational context? To what extent does complexity have an impact on sales? RQ2: How can salespeople cope with complexity in the current sales environment to manage today’s challenges in the sales environment? In the first chapter, a detailed description of the essential terms used in this paper are given. Moreover, we will provide an overall explanation of sales as well as a more detailed one of complexity in general and complexity in organizations to clarify the difference between those. The second chapter is going to focus on the history of sales from occasional trading in the ancient world to a complex series of activities in the modern sales environment. Furthermore, we will illustrate the current developments in today's sales environment and the impact of complexity, collaboration, and accountability. In the third chapter, we will outline the potential approaches to deal with increasing complexity in sales are outlined. In addition to that, the different elaborated solutions are compared. Selling, also known as a paid, personal and interactive approach between seller and buyer, has transformed over time due to change in the purpose of sales, impact of technology on the sales process and growth in knowledge (cf. Tanner/Raymond 2010, p. 222 cited in Dixon/Tanner 2012, p. 9). Therefore, resulting in changes of the sales discipline and in the salesperson, providing opportunities and problems. To capture this transitions, a broader definition of selling is needed. Referring to Dixon and Tanner (2012) selling can be defined as “the phenomenon of human-driven interaction between and within individuals/organizations in order to bring about economic exchange within a value-creation context”. This definition not only declares that context matters, but it also moves toward a multiperson engagement and away from the sales process focus (cf. Dixon and Tanner 2012, p. 10). Further, selling is mostly seen as pejorative as well as from a stereotypical view as being dishonest and arbitrary due to incorrect assumption that only salespeople benefit from selling. In fact, selling is depending on the needs of the customer and the exchange of product and cash (cf. Donaldson 1998, p. 4). Given the above, selling can be understood as an effort of a company or an individual to help the customer with a purchase and to place him/her in the center. The word complex comes from the Latin language and can be understood in two different ways. In general, it means “complicated”, “tangled” or “difficult”, but in a more deeper nuanced sense, it refers to “linkage” or “connection”. As a result, complexity is associated with relations rather than with complications (cf. Le Moigne 1990b, n.p. cited in Tarride 2013, p. 175). These are two words which are mostly confused if not being explained in detail and are different from scratch. One approach is dealing with complexity in a more systematic way, in which complexity is defined by the number of components and relations being used in a system (cf. Tarride 2013, p. 177). A second model states that complexity referred to natural systems is only able to grow and adapt due to its position as standing between two entirely different components of a system: stability/predictability and chaos/unpredictability (cf. Lewis 1994, n.p. cited in Tarride 2013, p. 179). Despite this, there exist more models in measuring complexity as briefly quoted above. But keeping the purpose of this academic paper in mind, they are not relevant and would not emphasize our used definition of complexity. As a result, one can say that complexity cannot be measured without referring to context. This allows to see complexity as a term with multiple definitions which slightly differ. To go into detail, complexity in organizations mostly emerges through internal and external interactions which create unexpected and unpredictable outcomes and has considerable impacts on organizational performance and ethics (cf. Ashkenas et al. 2014, pp. 38-40). Organizational complexity is defined by encompassing the entire corporate system and its linkages, which interact in an intricate way (Simon 1962, p. 468). Further, it gives an insight into the relationship between environment and corporation (cf. Liu et al. 2015, p. 341). Both, too low or too high levels of complexity have a negative influence on organizations. Whereas too low complexity influences the customer’s needs and the ability to meet them, too high complexity means that the corporation incurs greater operational costs. In contrast, Heywood et al. (2007) state that complexity within organizations should not be seen as a problem or something to overcome since it can provide competitive advantage e.g., increasing resilience, when seen as a challenge to be managed and adapted (cf. Heywood etai. 2007, p. 85). However, organizational complexity needs to fit the sales environmental complexity since it is a term for the relationship between environment and corporation. This means a consensus of complexity with culture, local government policies, and geographical conditions, in order to get the best performance (cf. Liu et al. 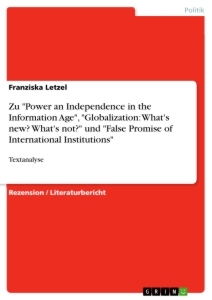 2015, p. 342). Cognitive complexity is a term for variability, cognitive difficulties, unpredictability, and uncertainty (cf. Browaeys/Baets 2003, n.p. ; Moldovenau 2004, n.p. cited in Liu et al. 2015, p. 346), making it difficult to describe and predict the rules of organizational behaviors. Further, cognitive complexity is a result of a disagreement between how people imagine the world and how the world is (cf. Ashkenas etai. 2014, p. 34). Although complexity has been seen as a structural quality of organizations since the 1970s (cf. Cara et al. 2017, pp. 118-119), its importance still needs to be further explored as well as specified (cf. Damanpour 1996, n.p. cited in Cara et al. 2017, p. 116). As mentioned above, there exist three different views of organizational complexity. In addition to that, organizational complexity can be divided into structural and experienced complexity (cf. Galbraith 1995, n.p. cited in Cara etai. 2017, p. 117). structural complexity is an established notion including the number of reporting lines, products or markets, which can be seen as strategic choices made by top executives to deal with multiple customers in multiple markets (cf. Cara etai. 2017, pp. 121-122). Experienced complexity is a comparatively new approach within organizations (cf. Cara et al. 2017, p. 122) and covers inefficient processes depending on the useful work of individuals within a team (cf. Leibenstein 1969, n.p. cited in Cara et al. 2017, p. 117). Therefore, it focuses on the individual task only instead on specific ability and skills. Moreover, experienced complexity is the extent to which the environment influences productive work of decision makers (cf. Cara etai. 2017, p. 121). Accordingly, the organization is designed as a task environment with a combination of structural and experienced complexity stimulating and shaping the way in which salespeople act individually. Further complexity captures the entire corporate system and its linkages and can also be seen as an advantage in relation to competition. Because of this difference in understanding and experiencing complexity it still needs to be explored and specified. To be able to realize the vital role of selling and the development of the sales environment there needs to be a better understanding of its history and origins. From occasional trading in the ancient world to a complex series of activities in the modern age - selling is an integral part of our past, present, and future (cf. Powers et al. 1987, pp. 1-7). The change of the sales environment especially took place in the first half of the 20th century, still having impacts on salespeople and their roles in business today. Due to the industrial revolution, selling has changed dramatically and rapidly (cf. Powers etai. 1988, pp. 11-19) and continues to evolve as we move into the beginnings of the 21st century. Despite its rich history sales has always been an under-researched area with a need for case-based exploration to demonstrate the potential for a new sales role (cf. Storbacka et al. 2009, p. 893). However, there still needs to be done more research not only to explore the multiple linkages of complex selling in the modern sales environment, but also how these work in organizations (cf. Storbacka etai. 2009, p. 903). The process and theories have changed over the decades, and the sales discipline has matured and prospered in that time frame (cf. Moncrief 2017, p. 271). More importantly, new developments and trends in selling emerged at the same time leading to the creation of new opportunities and demands that require adaptation and new approaches (cf. Jones et al. 2005, p. 106). Apart from this, the business world is going through unprecedented changes concerning globalization, new selling tools, a changing customer base and technology (cf. Moncrief/Marshall 2005, p. 14). Consequently, the way salespeople perform their job is also affected by new forms of competition and communication due to technology, rising customer expectations and demassification of domestic markets (cf. Moncrief 2017, p. 272; Anderson 1996, p. 17). In other words, the majority of salespeople’s knowledge rests on models and hypothesis that are largely insufficient in today's sales environment and need to be rethought (cf. Jones et al. 2005, p. 105). In the last twenty years, one of the oldest and well-known paradigms in sales has begun to evolve due to sales environment transitions including the role of the salesperson, increased buyer knowledge and sophistication and most important due to technology (cf. Moncrief/Marshall 2005, pp. 15-16). The paradigm of the seven steps of selling presents the previous sales function composed of prospecting, pre-approach, approach, presentation, overcoming objections, close and follow-up (cf. Moncrief/Marshall 2005, p. 13). The evolved seven steps (as seen in figure 1) consider the way business is conducted between sellers and customers today, consisting of customer retention and loss, database and knowledge management, relationship selling, marketing the product, problem-solving, adding value/satisfying needs and customer relationship maintenance (cf. Moncrief/Marshall 2005, p. 18). The current step of problem-solving is about the role of a salesperson as being a valued partner with his/her customers to ensure what is required from the product, allowing an evolved process of selling rather than only satisfying the customer regarding their objections (cf. Moncrief/Marshall 2005, p. 20). Instead of focusing on the short-term closure of a business relation, the customer and salesperson are now in benefit of a win-win relationship built on customer satisfaction and added value over the long run to bring the parties together in agreement (cf. Moncrief/Marshall 2005, p. 20). The last step of the traditional sales function is the most similar to the contemporary one, although it rapidly changed due to increased effectiveness of communication through technology. Today, salespeople instead use email for thanking the customer for purchasing and determining if the product was meeting expectations rather than making a phone call or writing a letter (cf. Moncrief/Marshall 2005, p. 21). Although the history of sales has its origin in the ancient world its changes still have impacts on salespeople and their roles in today's business. More importantly, altering one of the oldest and most effective sales paradigms which has evolved into a new 21st-century approach focusing on the development and maintenance of long-term relationships with customers. As mentioned above (p. 12) the business world is going through unprecedented changes. Therefore, sales organizations face a more complex work environment characterized by the trends of complexity, collaboration, accountability leading to increased customer expectations, complex buying situations and more diversity in the customer bases (cf. Ingram 2004, p. 18). The trend of complexity is mostly caused by further development of technology, change in product life cycles, more adaptions to meet the specific customer needs and the bundling of products and services (cf. Ingram et al. 2005, p. 137). In fact, salespeople have to deal with complexity daily including an increase in customer demands, technological innovation, competition through globalization, regulatory oversight and product complexity (cf. Jones et al. 2005, p. 106). These changes all require salespeople who can deal with rapid changes, an increase of information loads and pressure to perform at higher levels (cf. Ingram 2004, p. 18). Furthermore, the changes mentioned above all create more massive cognitive demands on salespeople such as problem-solving, identifying opportunities and resilience (cf. Jones et al. 2005, p. 106). Not only do salespeople require better cognitive abilities, but also have to cope with increasing role ambiguity, role conflict, overall job stress and working smarter since the development of shorter product life cycles, role shifting, task difficulty and more frequent product/service adaptions (cf. Ingram etai. 2005, p. 142). Apart from complexity and collaboration, the final trend is increasing accountability to the organization e.g., for the achievement of a broader range and to the customers for better service - which leads to a more complicated sales process (cf. Ingram et al. 2005, p. 137). Moreover, sales organizations of today are being held more accountable for their actions and outcomes than in the past decades, such as achieving profitable sales volume and high level of customer satisfaction as well as of legal and ethical behavior, rather than focusing on the traditional goal of maximizing sales volume (cf. Ingram et al. 2005, p. 145). Most importantly, salespeople nowadays are under more pressure due to being accountable for improving the effectiveness of their sales force and the fact that today's buyer can get information more efficiently than in the past (cf. Ingram 2004, pp. 23-24). Accordingly, salespeople need to be able to understand individual roles of team members, accept team goals as a priority, develop and implement high ethical and legal standards for customer relations and apply conflict resolution strategies and skills (cf. Ingram et al. 2005, pp. 147-148). It can be concluded that sales organizations need to be aware of the increasing importance of complexity, collaboration and accountability to not only survive and prosper, but also to create and deliver customer value. Additionally, the changes mentioned above all create opportunities for salespeople to adapt new tasks and behaviors. Further, the most important external and internal changes referring to an increase in complexity within the sales environment were noted in the following categories: customers, increasing globalization through international competitors, ethical and legal environment, technology, company strategy and performance challenges. Considering the rising importance of technology, customers tend to prefer buying online and spend less to no time in stores. This development may lead to an essential change in this area of sales e.g., lost retail jobs (cf. Moncrief 2017, p. 272). Therefore, salespeople must accept the apparent development of sales resulting in increasing expectations for customer service, product quality and overall value (cf. Anderson 1996, p. 18). As a result, the task of managing international selling is becoming increasingly important and complex as more and more companies enter the global market, putting competitive pressure on salespeople. Referring to Jackson et al. 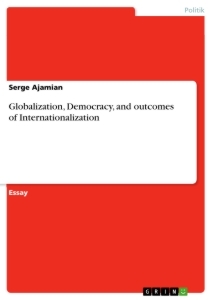 (2007) today's globalization has not only increased the speed of communication, as it created new markets and shaped the competition among organizations, but also the access to relevant information through technology (cf. Jackson et al. 2007, p. ix). Further, the impact of technological innovation has increased the speed of production and distribution related to goods and services. The importance for salespeople to communicate as fast as possible within organizations to provide needed information is increasing and easy to achieve in the present age due to technology (cf. Jones et al. 2005, p. 109). Although technology has an essential impact on today's sales environment as it simplified the communication within organizations, the most variable factor is still the salesperson (cf. Donaldson 1998, P-3). Before the beginning of the 21st century, sales had no relation to the internet, especially social media. This trend started with simple websites providing information to the customers and evolved into a new paradigm of how new buyer-seller relations create value and more importantly how organizations can communicate with (potential) customers (cf. Rapp/Panagopoulos 2012, p. 301). Further, buyers are becoming more product knowledgeable through social media without requiring information from salespeople (cf. Moncrief 2017, p. 274). In other words, social media created a new method of communication. According to Marshall etai. (2012), the growth of social media has lead to a research gap in sales and at the same time proving its current and future importance among organizations, salespeople, and customers. Especially social media e.g., Google+, Facebook and Linkedln, and mobile access to the internet through the smartphone prove to be a more profitable technology than desktops, static phones, and even laptops. Today, salespeople often have to be contactable via internet or smartphone without having another choice at all (cf. Marshall et al. 2012, p. 349). Salespeople have to be easy-to-reach for customer problems, which can only be achieved if they are knowledgeable about the latest technology. Simply put, to be successful salespeople need to be aware of customer needs and develop individualized and efficient solutions (cf. Jackson et al. 2007, p. ix). Also, today's selling environment has increased in complexity and therefore requires a continuous understanding of salespeople regarding the company’s products/services to fulfill the needs of the customers (cf. Jackson etai. 2007, p. 2). To put it differently, salespeople do have an increasing usage and implementation of social media because it is an essential connection between the company and the customer. To accomplish sustainable growth, organizations have to find and implement innovative and effective strategies. More directly, there is a need to improve the building, integrating and managing of the sales force. Referring to Jones et al. (2005) internal forces which change the sales environment continuously have an impact on the success and approach of operations. Internal company strategy aims to improve value-added services, a new product launch, selling process redesign, entering into new markets, becoming more consultative and developing new channel strategies. Unlike as with the external environment, organizations have more control over internal changes. Therefore, it is essential to recognize the potential opportunities in having knowledge of internal challenges. However, the ability to manage challenges within the organization means being one step closer to business success. In summary, it can be said that information has become omnipresent and that the rapidly changing sales environment created new external and internal opportunities as well as problems. Salespeople must accept the apparent development of the sales profession, resulting in increasing focus on overall value. Further, the task of management selling is becoming increasingly important as complexity increases. Indeed, there have been massive changes in sales environment which does not only have an impact on how salespeople perform their job but also on how customers and organizations experience the evolving role of salespeople. Since complexity is existent in almost every system in today's sales environment and plays an essential role, it is essential for salespeople to develop various solutions approaches to be better prepared for future challenges and changes within the organization. Referring to Ingram et al. (2002) one can understand complexity also as entropy or disorder. Therefore, the approach for future sales management can be seen as a way of reducing complexity in sales environment. The authors determine that the sales field is often managed by a person with a tactical self-conception, in contrast to marketing activities, which are usually done more strategically. So they propose to implement new sales structures to achieve a more strategic approach to sales, primarily by new sales leadership models on the one hand and modern sales-supporting technologies on the other hand. It is necessary to translate the marketing strategies, which are focused on the market level, to sales strategies, which address the customer level (cf. Ingram et al. 2002, p. 560 and p. 565). Despite various approaches, customers should be segmented in groups and also prioritized (cf. Ingram et al. 2002, p. 561) or sales force leadership should be shifted towards autonomy and self-management of salespeople (cf. Ingram et al. 2002, pp. 561-563 and p. 566). Segmentation allows reduced complexity by building groups to have a sales view, which consists of fewer elements. The self-management of salespeople reduces the interconnections and interactions between members of an organization and is, therefore, another way of reducing complexity. Apart from customer segmentation and salespeople autonomy, Ingram et al. (2002) recommend a strategic, customer-centric sales philosophy, that should be implemented by multiple, well-defined sales channels and technological systems, especially CRM systems. Different sales channels are necessary to meet customer requirements, but this recommendation should be properly implemented in order to benefit from its systematic approach and synergies. If these channels are not seamlessly integrated, there is a risk of increasing complexity (cf. Ingram et al. 2002, p. 565). Further, technological systems such as CRM systems may not decrease complexity in general, but they can help to outsource complexity and therefore reduce complexity in the human sphere, in the interaction of salespeople and sales management. As we outlined in our discussion of complexity (pp. 8-11 ), complexity is still a challenge in today’s organizations and therefore leaves room for the development of capabilities which allow organizations to cope with external complexity to be more competitive and effective (cf. Ashkenas et al. 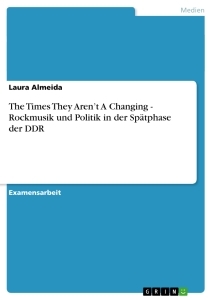 2014, p. 43). Referring to Lane and Piercy (2009) another possibility for reducing complexity is the application of strategies. The above framework (as seen in figure 2) shows external and internal challenges concerning how to make the sales organization more effective and strategic. The first possibility which leads to strategic transformation is inspiration. It is about providing leadership within the organization due to a renewal of ability of salespeople who manage external relationships. Influence is more of a test to figure out whether sales as a strategic function is taken seriously in applying influence or not e.g., a decision which has been made. Integrity is one of the most important aspects to consider in buyer-seller relationships and refers to ethics such as responsible behavior inside organizations (cf. Galea 2006, p. 11). The last external challenge, mentioned as ‘international’ in figure 2, is about the globalization of markets leading to increasing competition and discusses the methods of how to manage customer relationships in geographically and culturally different markets (cf. Lane/Piercy 2009, p. 311). However, there are also internal challenges leading to strategic transformation such as involvement. This aspect is placing organizations at the center of the business strategy and linking strategic directions to sales operations. Intelligence refers to building strategies which provide customers high value and adopting customer knowledge. Integration is about processes which define, develop and deliver value to customers through creating cross-functional relationships. Internal marketing is mainly about providing value to customers, just as the two previously mentioned aspects ‘intelligence’ and ‘integration’ stated. The last internal challenge is about infrastructure which refers to developing processes and structures to build competitive advantage towards other organizations and manage sales (cf. Lane/Piercy 2009, p. 311). Overall this framework is the most effective for managing the strategic sales organization transformation and for decreasing complexity. Taking into consideration that complexity does not have to be reduced but rather embraced, there should be further approaches considering two more changes in today's sales environment besides complexity: collaboration and accountability. Referring to a decrease in complexity, salespeople should spend more time identifying needed skills for improving effectiveness e.g., problem-solving, technical ability and tolerance for ambiguity (cf. Ingram et al. 2005, p. 141). Further, salespeople should develop better-coping skills to deal with an increase in role stress and conflict, as well as partnering skills concerned with higher collaboration. Salespeople today face the challenge of rising accountability and therefore need to be well aware of cultural and ethical differences as well as practicing teamwork (cf. Ingram etai. 2005, p. 149). All things considered, the primary approach for future sales can be seen as a way of reducing complexity in sales environment. This can be achieved through implementation of a more strategic view to sales as well as through an increase in autonomy and self-management of salespeople. Although complexity is still a challenge in today’s organizations a totally different strategy would be to embrace rather than reduce complexity. The specific sales knowledge which was built up over the last two decades had significantly changed and now needs to be developed into the 21st century where it can respond to a complex and individually evolving business environment. Since complexity exists in almost every part of today's sales environment and plays an essential role, it is necessary for salespeople to develop various solution approaches to be better prepared for future challenges and changes within the organization. Most importantly, sales organizations need to be aware of the increasing importance of complexity, collaboration and accountability to not only survive and prosper but also to create and deliver customer value. Complexity cannot be measured without referring to a context and exists in various systems at once. Therefore, complexity is a term with multiple definitions which are all slightly different from each other. Actually, there have been massive changes in sales environment, which do not only have an impact on how salespeople perform their job, but also on how customers and organizations experience the evolving position of salespeople. However, the most important external and internal changes referring to an increase in complexity within the sales environment were noted in the following categories: customers, increasing globalization through international competitors, ethical and legal environment, technology, company strategy and performance challenges. As a result, one can say that information has become omnipresent and that the rapidly changing sales environment created new external and internal opportunities as well as problems. Further, salespeople must accept the fact that they cannot rest comfortably on their experience or knowledge. Instead, they must accept the apparent development of sales resulting in increasing expectations for overall value. This paper aimed to provide an insight into the development of today's sales environment and the increasing impact of complexity. Further, the research should help to understand and develop solution approaches on how to deal with current changes in sales. Complexity will remain as changes such as customer satisfaction, technological innovation, and global systems increase. Although there exist some interesting approaches on how to decrease complexity, there should be more research on how to embrace complexity as it e.g. gives an advantage in competitive environments. Because of this difference in understanding and experiencing complexity, it still needs to be explored and specified. This academic paper holds several limitations which need to be outlined. It has become clear that sales is an essential and well-researched issue. Nevertheless, there are still areas of research still need to be explored. Since the sales environment is rapidly transforming this will give sales researchers more opportunities to make significant contributions. Further, the technologies that have evolved, most important social media, have changed the sales environment and still will in the future. Further, the development of solution approaches concerning an improvement of salespeople’s capabilities to understand and manage complexity will remain an essential and critical need throughout the future of sales environment. Anderson, Rolph E. (1996): Personal Selling and Sales Management in the New Millennium. In: The Journal of Personal Selling and Sales Management, 16/4, pp. 17­32. Ashkenas, Ron/Siegal, Wes/Spiegel, Markus (2014): Mastering Organizational Complexity: A Core Competence for 21st Century Leaders. In: Research in Organizational Change and Development, 21, pp. 29-58. Maya, Cara/Birkinshaw, Julian/Heywood, Suzanne (2017): structural Versus Experienced Complexity: A New Perspective on the Relationship between Organizational Complexity and Innovation. In: Entrepreneurship, Innovation, and Platforms. Advances in strategic Management, 37, pp. 115-150. Cravens, David W./Piercy, Nigel F./Low, George s. (2006): Globalization of the Sales Organization: Management Control and Its Consequences. In: Organizational Dynamics, 35/3, pp. 291-303. Dixon, Andrea L./Tanner, John (Jeff) F. Jr. (2012): Transforming Selling: Why It Is Time to Think Differently About Sales Research. In: Journal of Personal Selling & Sales Management, 32/1, pp. 9-13. Donaldson, Bill (1998): Sales Management: Theory and Practice. 2nd edition, Houndmills et al. : Palgrave. Galea, Christine (2006): What customers really want. In: Sales and Marketing Management, 158/4, p.11. Geiger, Susi/Guenzi, Paolo (2009): The sales function in the twenty-first century: where are we and where do we go from here? 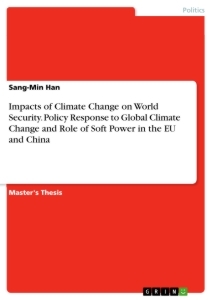 In: European Journal of Marketing, 43/7­8, pp. 873-889. Guenzi, Paolo/Geiger, Susi (2011): Sales Management: A multinational perspective. Basingstoke: Paigrave Macmillan. Heywood, Suzanne/Spungin, Jessica/Turnbull, David (2007): Cracking the complexity code. In: The McKinsey Quarterly, 2/2007, pp. 85-95. Ingram, Thomas N./LaForge, Raymond W./Leigh, Thomas w. (2002): Selling in the new millennium: A joint agenda. In: Industrial Marketing Management, 31, pp. 559­567. Ingram, Thomas N. (2004): Future Themes in Sales and Sales Management: Complexity, Collaboration and Accountability. In: Journal of Marketing Theory and Practice, 12/4, pp. 18-28. Ingram, Thomas N./LaForge, Raymond W./Locander, William B./MacKenzie, Scott B./ Podsakoff, Philip M. (2005): New Directions in Sales Leadership Research. In: Journal of Personal Selling & Sales Management, 25/2, pp. 137-154. Jackson, Ralph W./Hisrich, Robert D./Newell, Stephen J. (2007): Professional Selling & Sales Management. Garfield Heights: Northcoast Publishers. Jones, Eli/Brown, Steven pp./Zoltners, Andris A.AA/eitz, Barton A. (2005): The Changing Environment of Selling and Sales Management. In: Journal of Personal Selling and Sales Management, 25/2, pp. 105-111. Lane, Nikala/Piercy, Nigel (2009): strategizing the sales organization. In: Journal of Strategic Marketing, 17/3-4, pp. 307-322. Liu, Hong/Ma, Lu/Huang, Panpan (2015): When organizational complexity helps corporation improve its performance. In: Journal of Management Development, 34/3, pp. 340-351. Marshall, Greg W./Moncrief, William CJ Rudd, John М./Lee, Nick (2012): Revolution in Sales: The Impact of Social Media and Related Technology on the Selling Environment. In: Journal of Personal Selling & Sales Management, 32/3, pp. 349-363. Moncrief, William С./Marshall, Greg w. (2005): The evolution of the seven steps of selling. In: Industrial Marketing Management, 34, pp. 13-22. Moncrief, William c. (2017): Are sales as we know it dying...or merely transforming? In: The Journal of Personal Selling and Sales Management, 37/4, pp. 271-279. Powers, Thomas L/Martin, Warren S./Rushing, Hugh/Daniels, Scott (1987): Selling Before 1900: A Historical Perspective. In: The Journal of Personal Selling and Sales Management, 7/3, pp. 1-7. Powers, Thomas L./Koehler, William F./Martin, Warren s. (1988): Selling from 1900 to 1949: A Historical Perspective. In: The Journal of Personal Selling and Sales Management, 8/3, pp. 11-21. Rapp, Adam/Panagopoulos, Nikolaos G. (2012): Perspectives on Personal Selling and Social Media: Introduction to the Special Issue. In: Journal of Personal Selling & Sales Management, 32/3, pp. 301-304. Schwaninger, Markus (2009): Complex versus complicated: the how of coping with complexity. In: Kybernetes, 38/1-2, pp. 83-92. Storbacka, Kaj/Ryals, Lynette/Davies, lain A. /Nenonen, Suvi (2009): The changing role of sales: viewing sales as a strategic, cross- functional process. In: European Journal of Marketing, 43/7-8, pp. 890-906. Tarride, Mario Iván (2013): The complexity of measuring complexity. In: Kybernetes, 42/2, pp. 174-184.